Bouncing and Thundering for Horse Welfare at Mida Farm! 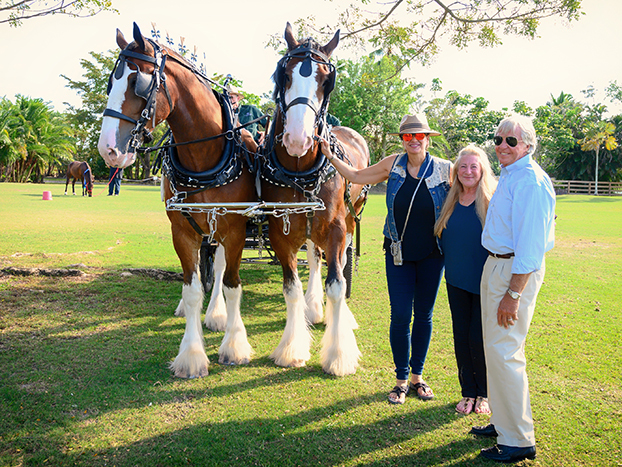 On Monday, March 11th, over 200 guests of the EQUUS Foundation visited the beautiful Wellington, Florida farm of renowned horse welfare advocate and equestrian, Victoria McCullough, to support the EQUUS Foundation's mission to protect America's horses and strengthen the bond between horses and people. 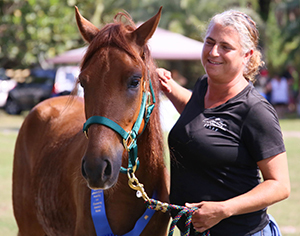 Tens of thousands of America's horses become at-risk for abuse, neglect and an untimely and inhumane end of life each year. Over 85,000 of America's horses were shipped across our borders to be slaughtered in 2018. Most were young, healthy and had untapped potential. 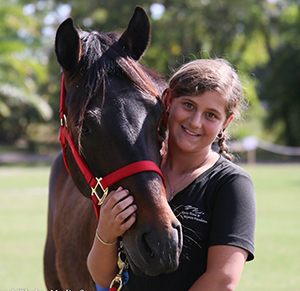 "We believe that the best way for the public to understand the magic of horses is by having the opportunity to engage with horses one-on-one. 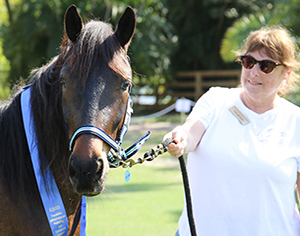 While not everyone is in a position to adopt a horse, everyone can be a voice for at-risk horses that need our help," said Valerie Angeli, EQUUS Foundation VP of Engagement. 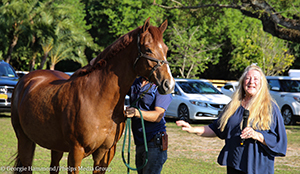 Guests gathered to recognize the tireless work of EQUUS Foundation Guardian charity, Equine Rescue and Adoption Foundation (ERAF) of Palm City, Florida, and to learn about the rescue and recovery stories of 10 adoptable ERAF horses from their handlers - all ERAF volunteers. 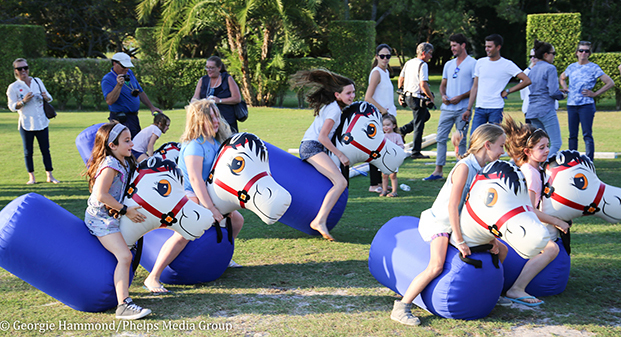 An event highlight was also the hilarious Bouncy Horse Olympics presented by Upper Echelon Academy. 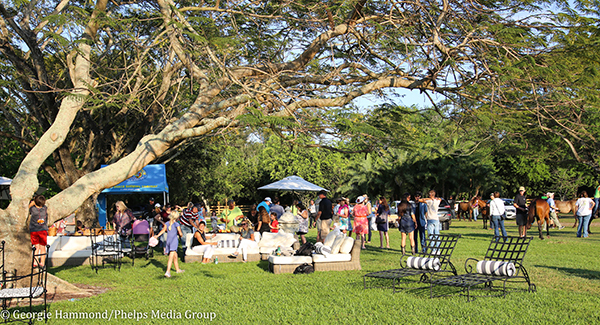 Guests also just kicked back on the great lawn, enjoyed beer tasting, compliments of South Beach Brewing Company, and champagne by Lamborghini Champagne and Wines, lounged on the lovely wicker and wrought-iron decor and enjoyed a bounty of elegant snacks while taking in the celebration of all things equine. 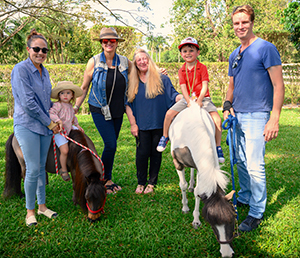 Also joining the festivities were social media sensations, Teddy and Mickey Blue Eyes, adopted by EQUUS Foundation EQUUStars Georgina Bloomberg and Brianne Goutal-Marteau for their young children. 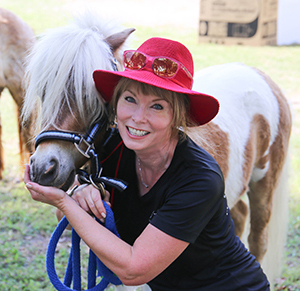 "These lovable and stunning little horses are picture-perfect examples of how rewarding horse adoption can be and how many wonderful horses of all types are out their waiting to be adopted too," said Angeli. 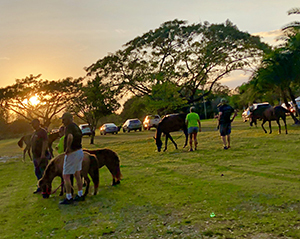 As the sun set in pink and golden hues behind the palm trees of Mida Farm, a beautiful and inspiring afternoon for the love of horses was enjoyed by equestrians and horse lovers of all ages! 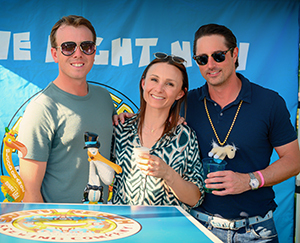 View all our event photos here!